FOR LEASE - 43,059 +/- SQ. FT. AT 131 W. COMMERCIAL AVE IN MOONACHIE,NJ! Property Highlights include: 4,108 +/- Sq. Ft. of Office Space, 16' - 20' Ceilings, Ample Loading, 76 Parking Spaces (Vehicles & Trailers), 2000 Amps @ 480 volts (3 sources available) & Solar available (inquire about cost savings). Full Building Renovations include: New High Bay LED warehouse lighting system, New Underground Roof Drainage System, New Epoxy Flooring, New Warehouse Electrical Panels, Renovated Warehouse Break Room & Restrooms, Newly painted warehouse walls & columns, Offices freshly painted & carpeted, new ceiling tiles, renovated restrooms, new lighting & new kitchenette. FOR SALE - 9,000 +/- SQ. FT. (RETAIL SPACE) AT 368 & 273 BELLEVILLE TPKE. IN KEARNY, NJ! FOR SALE - 31,000 +/- SQ. 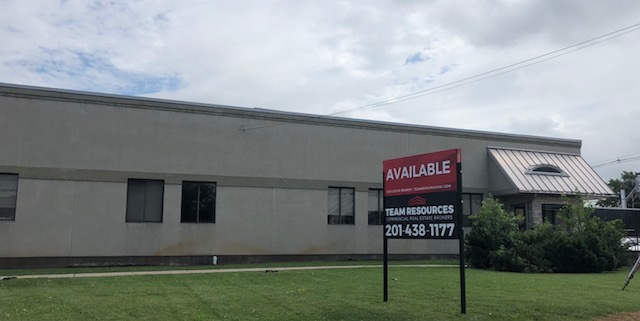 FT. INVESTMENT PROPERTY AT 1 EMERY AVENUE, RANDOLPH, NJ! TEAM RESOURCES NAMED 2018 CoStar BROKER AWARDS WINNER!